How to Throw a Great Game Character Party! 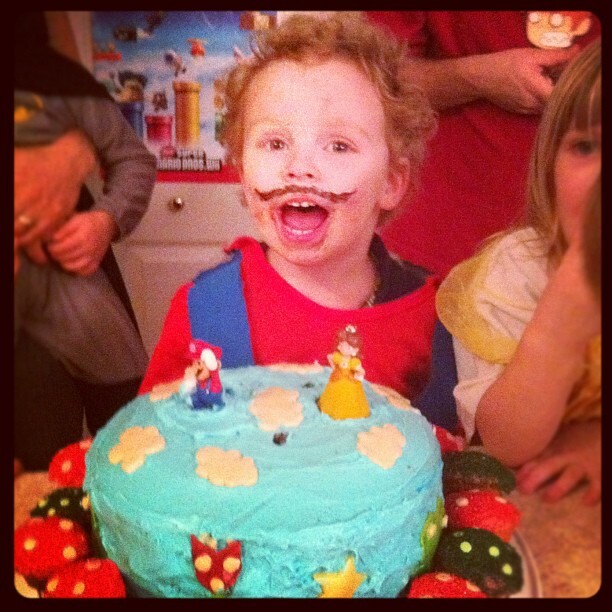 One day several months ago, my then 2-year old son Jack told me “I’m having a Mario birthday when I turn three!” As a big Mario fan, I was super excited! What a great opportunity to celebrate this important milestone with a gaming themed party. We spent several weeks thinking about how to make the party as fun and cool as possible, talked with friends, and looked up ideas online. 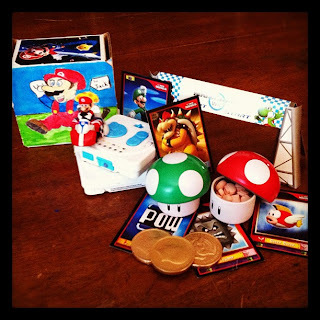 Here are a few tips we found really helped us make the party special, some pictures of what we decided to do, and an awesome Do-It-Yourself Project tutorial for all the Mario enthusiasts out there! Enjoy! The first step in throwing a memorable game character party is to find ways to push your theme. Make a list of all of the important characters, items, locations, foes, and iconic elements of the game or games your character appears in. Try to include a few actions too, things that the character is known for doing. In our example, we listed things like Mario, Luigi, Toad, Princess Peach, Bowser, Koopas, Lakito, Goombas, Collecting Coins, Jumping, Power-up Mushrooms, Mario Kart racing, Question Blocks, Sliding Down the Flagpole at the End of Each Level, 1-ups, and Climbing Vines. We'll use this list throught the other steps as an idea bank and also to check and see if we're getting everything we want into the party. The next step is to figure out a way to make your list come alive for the party-goers. Decorations and costumes go a long way towards immersing guests in the world of the game. Hang game posters and maps on the wall, search online for images to print out and display, and consider making homemade props to enhance the scene. Costumes are also a great way to get into the theme, dress up and encourage guests to join in! If possible, try to use whatever you have available and spice it up to fill in the world details. You don’t have to spend a lot of money on expensive decorations or props, and your list will come in handy for thinking of different ways you can reinforce you’re theme. For our Mario party, we found some Mario posters from game cases and hung them around the house and Randy painted some foamboard with a Mario scene and “Happy Birthday Jack!”. The kids dressed up as Mario (complete with makeup mustache!) and Princess Peach. 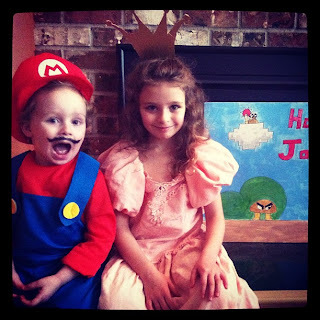 The Mario outfit was Jack’s reused Halloween costume (bought in the toy section at Target) and Princess Peach was thrown together from our dress-up clothes and a quick crown cutout from foamboard spray- painted gold. We also went around the house and added decorating touches such as vine leaves cut out of green construction paper taped to a rope, and turning our climbing structure into a small castle with a World 3 flag. Here’s a quick and easy way to come up with some activities for your party. Think of a family favorite classic party game, such as “Pin the Tail on the Donkey” or “Bingo”, and retheme it with something from your list. Draw or use images found online to make the game pieces, and rename the game. 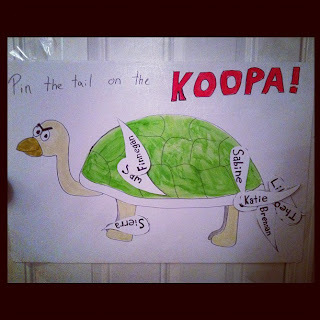 In our case, we decided to go with “Pin the Tail on the Koopa” and mocked up a Koopa Trooper (minus tail!) on a big piece of poster board. We premade tails with each kid’s name printed on it, and had a fun time taking turns trying to get the tail in the right spot. The prize was gold chocolate coins, and everybody got some for playing. Snacks, party favors, and of course the cake are another way to liven up your party. Name the snack foods after items from your list, and serve things that fit with your theme. What’s a Donkey Kong Party without bananas?? When it comes to the cake, you don’t have to be a super cake decorator to pull of a fun thematic cake idea. Using toys as cake toppers and softened candy (like tootsie rolls or starbursts) to decorate the cake can really create a cake that will excite and please! Party favors can include stickers, toys, candy, or other thematic tie-ins to serve as a great reminder of a wonderful experience. For our Mario party, a good friend of ours made Jack’s cake and did a lovely job decorating it with all kinds of imagery from the Mario games and topping it off with some Mario toys that Jack still plays with. She also made cupcakes that resembled 1-ups and Power-Up Mushrooms, which made serving to the kids a quick and easy process. For favors, we gave out adorable little metal 1-up and Power-Up mushroom containers (found at Best Buy) with little mushroom shaped candies inside. This last tip is one that really takes advantage of the game inspired theme, and will help your party to stand out. Look back on your list and pick out a few of the action phrases you jotted down, then try to find a way for the party goers to get into the game and play! This could be as simple as setting up a gaming station or two that guests can rotate through and experience the game, especially if it’s a multiplayer experience that lends well to group play. Another way to get in on the action is to come up with a game or activity that captures the essence of the game. We put this into practice in a few ways for our Mario party. First off, we set up a go-kart race track with remote controlled Mario Kart racers, and the kids took turns racing around the Mario and Yoshi karts and making their own courses with the materials provided. We also had a Wii gaming station set up with New Super Mario Bros Wii and Mario Kart, and the kids took turns playing those games. The final thing we did to get the kids into the action was to create our very own Question Block that the kids could jump up and punch like Mario does. We created the box, then rigged it to make a satisfying DING noise when punched from below and spout gold chocolate coins from the top. We had the kids take turns punching the block and gathering up their coins, and it was one of the biggest hits of the party! 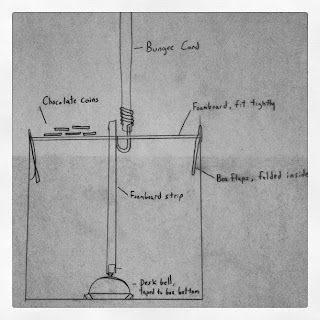 As a special bonus for our readers, Randy wrote up a Do-It-Yourself Tutorial on how we created the box and made it work! I hope these tips and ideas are helpful in getting started planning your next party. Thanks for reading, and please share any other ideas or stories of your own in the comments, we love to hear from you! This Super Mario Brothers coin block is a lot of fun, and just the thing to add a little flavor to a Mario-themed party! It's pretty easy to put together with some basic supplies. 1. Spray-paint the outside of the box gold (excluding the top). You may need several coats. 2. Tape the base of the desk bell to the bottom center of the inside of the box. Make sure NOT to tape the stainless steel dome of the bell, only the base. 3. Fold the flaps of the top inside the box. 4. Cut a piece of the foamboard so that it will fit very snugly inside the top of the box, about ¾ inch from the top. 5. Cut a 1 inch wide strip of foamboard about the height of the box. Tape one end to the button on the desk bell. 6. Cut a rectangular hole in the middle of the foamboard top to accommodate the foamboard strip snugly, then put the foambord top on; the strip attached to the top of the bell should protrude a little. 7. Test the box by hitting it straight upward from the bottom; it should give a loud “ding!”. 8. Outline 16 1-inch wide circles for rivets and 4 large question marks on the brown construction paper and cut them out. 9. Glue one rivet in each corner of the sides, and one question mark on each side face. 10. 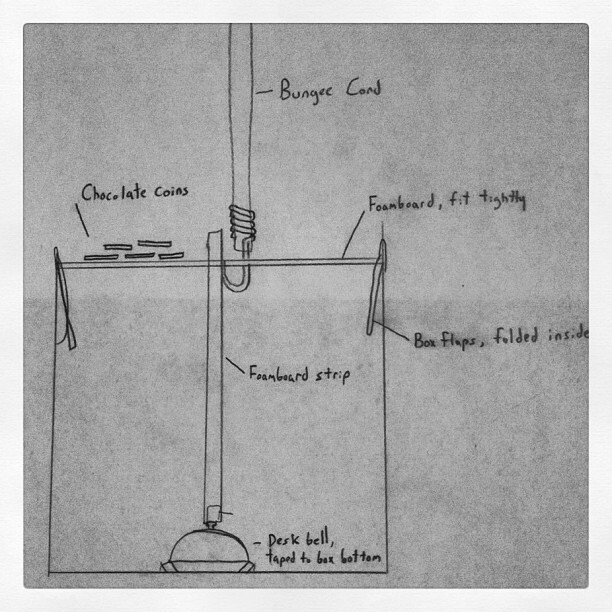 Hang with a bungee cord (you will need to make a slot in the top of the foamboard. You can hook the end of the bungee cord into the slot. You can also decorate the cord with cut out leaves to make it look like one of the climbing vines. 11. Put a handful of the chocolate coins on top between each player. The force of the hit will cause the coins to fly out. 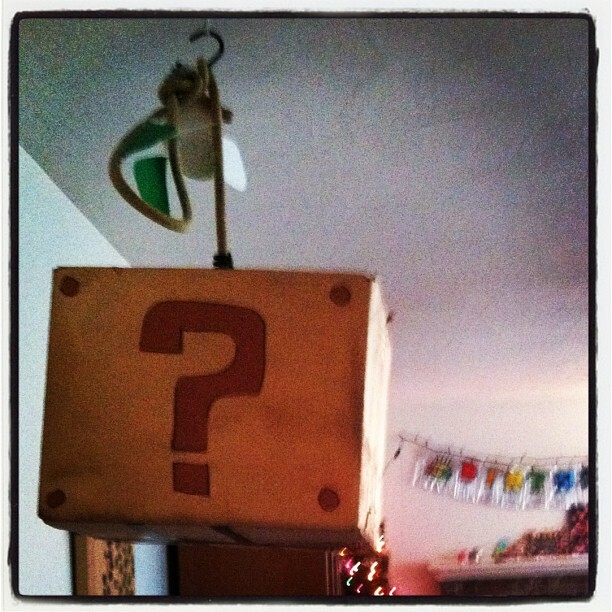 Hang the block up high to keep some of the mystery intact and encourage jumping Marios! That’s it! When hit from the bottom, this should give a loud “ding!” and spill coins! Here's a quick video of the block in action, They don't need to hit it quite so hard as shown here, but it stood up to quite a few big bonks!! If you try this, please let us know how it went! As always, we'd love to hear your feedback and comments. Thanks! This is an incredibly simple game that my 6 year old daughter enjoys. It starts with one player saying a word (any word they want). The next player has to think of a word that starts with the same letter that the first word ended with. It can be a fun way to practice vocabulary and letter sounds with a young child. For older players, you can spice this game up considerably by simply choosing a category. 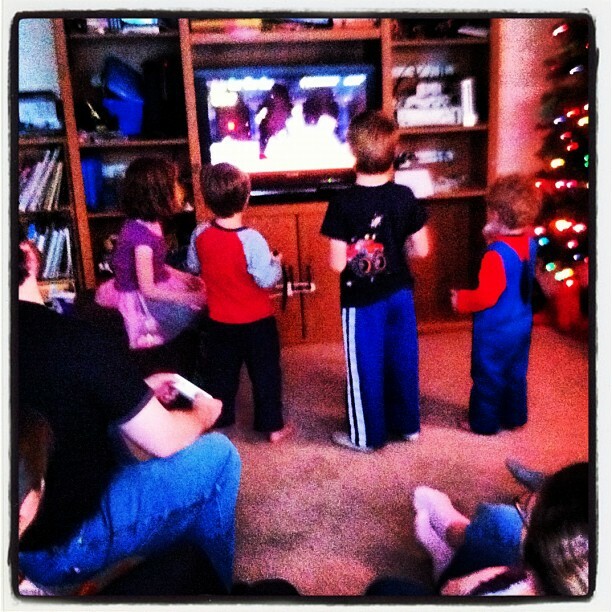 For slightly older kids limit it to a broad category like animals. For teens and adults limit it to a subject of interest like board games names or action movie titles. This game comes from the play/movie Rosencrantz and Guildenstern Are Dead. The game is simple in concept, but quite amusing and challenging to play. One player starts by asking a question. The next player follows by replying with a question of their own. Thus the game continues with each player trying to reply to each question with a question. 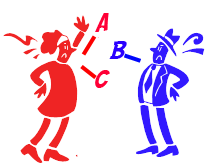 The first player to stall or say something that is not a question loses the round. Rosencrantz and Guildenstern enumerate a few other rules as they play their game such as no rhetoric and no non-sequiturs. You can watch the scene on youtube and see how they score it like a tennis match. This game is probably a little too challenging for younger kids (I tried it with my daughter today and she struggled to think of more than one or two questions.) However, for older kids and adults it can be an amusing way to try to hold a conversation. Another one that’s simple and fun. My daughter and I play using animals as the subject. One person names a small animal and the next player names an animal they think could beat that animal up. The game is best if you try to ramp up slowly. Jump straight to tiger or elephant and the game can end quickly. However, getting to bigger animals just means that the players have to get creative. I thought I could stump Sabine by stating that one big creature could be beat up by a virus and without missing a beat she said that the virus could get beat up by a doctor. If you are strongly opposed to even silly notions of violence in a game, you can turn this game into more of a science lesson by naming a creature and seeing if your kid can guess what kind of animal eats it. To age the game up a bit, you can just pick a slightly more relevant category. Comic book geeks, for example, have been playing this game for years using super heroes. To start that game off, I suggest using Aquaman as the starting point. This game comes from a scene in one of my favorite childhood movies, Teenage Mutant Ninja Turtles. One player starts at A and thinks up a silly insult for the other player. The next player replies with an insult that starts with B and you continue to work through the entire alphabet. Again the insults should be pretty silly. You might start out with Ape-face, move on to Balone Head, and then follow up with Carrot Nose! The scene from TMNT shows some pretty silly examples. For parents who find the notion of playing a game of insults appalling, let me just say that giving your kid a chance to tease you in a game can be fun and cathartic. Just make sure the insults stay silly and not genuine. For those who REALLY can’t stand the idea of an insult game, you can go through the alphabet on a host of other categories. For added challenge, you could even try to hold a conversation with each player using a sentence that starts with the next letter. All the players make fun sound effects or appropriate motions as they make their way through the hazard. Then the next player starts up the chant again, states another hazard and the game continues. Though silly, this game can be a lot of fun. According to my daughter, it makes the entire walk feel like an adventure. I’m sure there are a million more of these conversation games out there. What are your family’s favorite game on the go? Greetings! 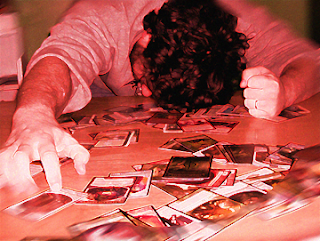 Today I wanted to write about Magic: The Gathering, Commander format (rules here). It's a fun multiplayer Magic format that allows for longer, more social games, varied and often thematic decks and interesting interactions. I'm going to talk about the format and also about my first and favorite deck. I'm a casual Magic player; it's all kitchen table for me. Though I do get excited about new sets (really looking forward to Avacyn Restored, by the way! ), I'm not the guy who buys two cases of boosters going after the newest mythic rare cards. Nor am I going to spend the money necessary to buy these on the secondary market. True, sometimes I may spend up to five bucks on a card every now and then, but that is indeed the exception. And where the Standard and Modern formats thrive on this, and, indeed, the hobby game industry as a whole is supported by this, it's just not for me. And for Commander, it's just not necessary. The Commander format has players create 100-card decks with no more than one copy of anything but Basic Land cards, and with a Legendary creature as the commander, or general. The general is not shuffled into the deck; it is put in a command zone and may be cast from there at any time. If the general dies, it is put back into the command zone and is immediately castable again (though each death raises the cost by 2 mana). This means that creature is always reliably available, and strategies will develop around that creature. I'm a sucker for thematic decks. And when you are making a large singleton deck, you are able to choose cards based on theme instead of four copies each of the eight "power" cards everyone else is using. Aside from the land cards, a typical Commander deck has about 60-65 unique cards that can be drawn from 19 (and counting!) years of Magic history; that leaves a lot of room to express the theme, and get in the utility cards that make it viable. So... what does a theme deck look like? My first and favorite Commander deck is called "Dead & Dreaming", and is Cthulhu-themed (for an explanation of Cthulhu, click here). 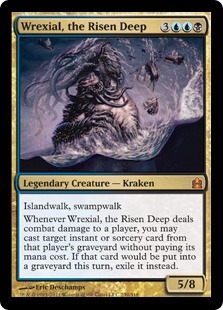 I got the idea from the card Wrexial, the Risen Deep (very Cthulhu-inspired!) and chose to go with that. I had some initial assistance from my wife Angie, who is far better at building decks than I am. Over the last few months, though, I have made a lot of changes. The first thing needed for my theme were huge monsters, especially of the alien, godlike or aquatic persuasion. I chose to go with several Eldrazi for this. 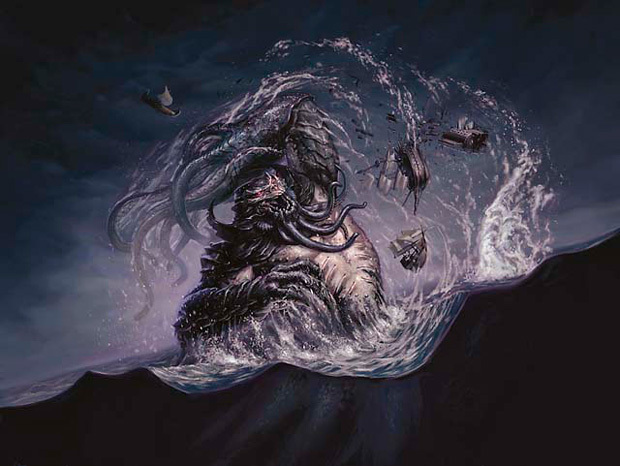 Eldrazi were introduced in the Rise of the Eldrazi set of the Zendikar block. They tend to be huge and expensive, and usually have the Annhilator keyword (meaning that when they attack, the opponent must sacrifice permanents equal to the Annhilator value before blockers are declared). In addition to Eldrazi, there are also a couple leviathans and a legendary octopus. Every deck also needs small creatures, so there are plenty there. They provide the cultist and minor beasts role. A lot have utility powers that are useful, such as allowing creatures to become unblockable (Cephalid Pathmage), changing land types (Tidal Warrior), making copies of creatures (Evil Twin) and Infectors (creatures who deal damage as -1/-1 counters to creatures, or Poison counters to players). Most of these carry along the theme, though not all. As for the rest, the Instants, Sorceries, Artifacts and Enchantments have a lot of horrific effects. Artifact/creature destruction, boardwiping and card drawing are a given. There are some the give Infect, or effectively make little creatures huge. Several Eldrazi tribal spells made it in, most of which create Eldrazi spawn (0/1 creatures that you may sacrifice for colorless mana). In addition, one of my all-time favorite Instant spells is in there: Tainted Strike. What's so cool about that? Well, it's a very simple card. It is an Instant that costs 1 Black, and gives a creature +1/+0 and Infect. This is a really fun surprise card to throw down. Since Infect is a big mechanic in my deck (Poison counters will eliminate a player; in our group, we have rules that 20, rather than the standard 10, will take out a player). It is always fun to see two other players attacking each other and playing this on one of their guys, either resulting in a creature getting a lot of -1/-1 counters, or the player getting more Poison counters. I have even kept myself from being eliminated by playing this on a creature attacking me, causing it to do its damage as Poison counters and not as life damage. Nifty! Well, I'll let you look at my deck list. I am not in any way saying that this is especially powerful, or anything at all like that. I am just saying that this is a thematic deck that I have had a great time playing and refining. So... that's it, as it is currently. What do you think? What's your favorite commander? We’ve already talked about Reasons to Play Board Games with Your Kids, and given you some advice on Teaching Games to Kids, so I thought I’d follow up with a list of some of the key benefits of playing games with your kids. 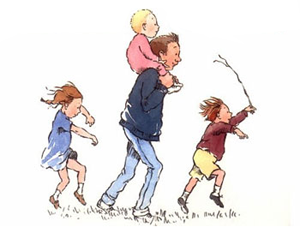 These were written with interactive social games such as board games, card games, and role playing in mind, but many of these concepts apply to digital games as well, especially when families play them together. Games allow an opportunity for kids to try and fail. So much of our society is focused around success and achievement, and even young children are having their efforts at learning “graded”. However, the best teacher is experience, and games provide situations in which children are encouraged and supported as they attempt new strategies and tactics, and in which they are “allowed” to fail safely. Failure provides a chance to examine your approach and modify your actions to try again next time, but in our society kids are often taught that failure is bad and an unacceptable conclusion to any event. In most games, failure is inevitable… no one can win 100% of the time, and that provides children with an opportunity to practice valuable life skills and be rewarded for perseverance, adaptation, and hard work. Kids need to have a safe environment to learn new skills, and games are a great way to provide structure and reinforcement of concepts in a fun setting. Games provide excellent discovery kits. Opening up and exploring the contents of a game box provides many different learning opportunities. Games contain pieces which can be used for sorting, color matching, exploring shapes and textures, and important tactile processing skills. Game components also provide a great medium for imaginative play and can be as exciting as any toy play set. Learning how to play a game provides another avenue of exploration and discovery. Kids learn about how the pieces work together, what happens when they take certain actions, and how specific strategies or tactics will play out. Games provide children with a vast source of artistic and creative inspiration. The art and components for games are something that many children are drawn to, and interacting with the pieces of a game or visualizing the themes through the art of the game can help children to grasp a concept as well as inspire their own art, stories, and games. Many games contain amazing and detailed images of fantasy worlds, exciting characters, and grand adventures, all of which can help kids visualize and imagine their own whole new worlds. A game is a structured social activity in which children learn and practice many valuable life skills. 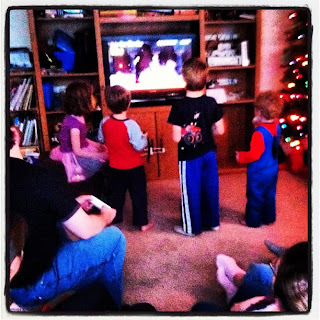 The core life lessons of sharing, taking turns, cooperation, good sportsmanship, accepting and learning from failures, positive social interaction, communication, critical thinking and analysis, decision making, self confidence, healthy competition, problem solving, and following rules and societal norms are built right into gaming experiences. Games offer a unique opportunity for children to explore these essential life skills while immersing themselves in imaginative play in an intrinsically rewarding activity. 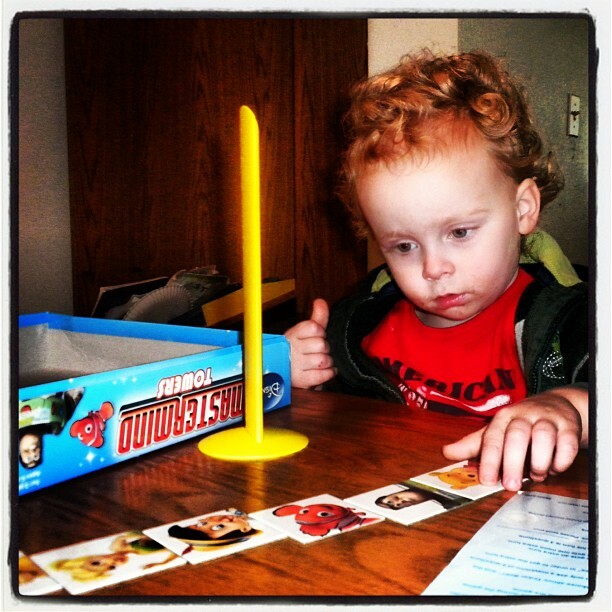 Games allow children to learn and practice thinking ahead. Success in many games requires the participants to learn to control impulses, mentally plan out actions and enact a specific strategy, and that process creates a clear example of how choices and actions carry consequences. Replaying games offers kids a chance to see how different choices can result in different outcomes, and can encourage a thoughtful approach to decision making. Playing games with your kids provides an excellent opportunity for teaching new vocabulary and building their word base. Communication is important during any social activity, and games are no exception. Games usually have a theme or concept that carries its own set of terminology, and provide a great branching off point for discussions on a wide variety of subjects. Exposure to new ideas and new words is an important part of children’s vocabulary and language acquisition skills, and playing games will encourage and promote vocabulary expansion and word usage while having fun. 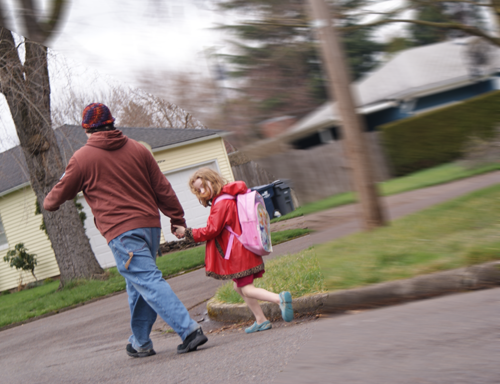 Children learn by emulating adults and older children, and are most challenged by activities that are just outside of their current skill level. Many games provide a perfect opportunity for kids to practice and master new skills though watching and interacting with other players. Games also present a challenge in which repetition is encouraged, and accomplishing game goals can help reinforce a developing sense of self-efficacy. By playing games, kids are able to improve their cognitive, motor, and social skills while engaging in a rewarding activity. 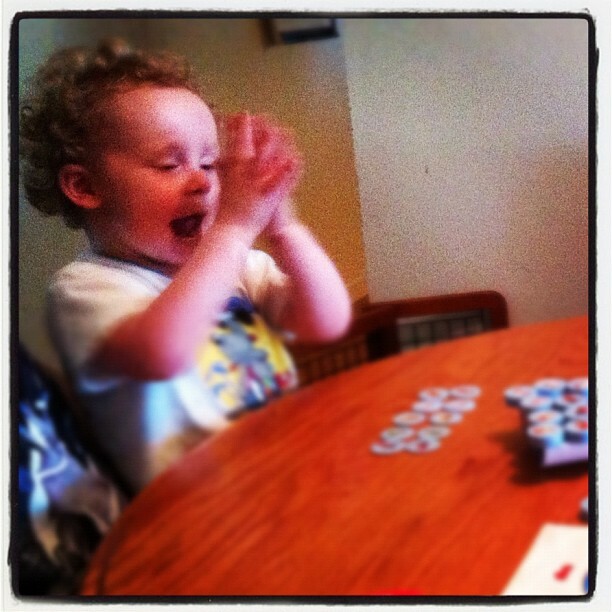 Games provide a motivation and practical application of math and spatial reasoning skills. Counting spaces on a board or life meter or adding together the results of a dice roll are common gaming tasks. Many game components offer a strong internal motivation for kids to practice basic addition and subtraction, multiplication and division, fractions, and even geometry just by playing the game. Figuring out things like how far you have to move to get to a certain space, or what your combined skills roll might be, are essential parts of many card and board based games. Kids are learning and using these skills just by playing the game, and playing games for even a short time has been shown to dramatically increase students mathematical achievement. As kids grow beyond counting and expand their number fluency, even more complex learning opportunities emerge. Games have obvious and subtle math calculations that factor into the mechanics, and learning strategies in games can start out simple with calculating odds of success and grow increasingly more in depth as the vast possibilities are explored and discovered. Games also allow kids to learn about abstraction. Young children are usually very concrete thinkers, and playing a game that simulates something they are familiar with can help them to begin to realize how certain systems, tasks, and aspects of life can be thought of in new ways. In a game such as Agricola, the kids are responsible for taking care of their own farm. Players make decisions about what crops to grow, which livestock to invest in, how they will provide food for their family, expand and renovate their home, pursue career options, and utilize tools to accomplish the task on their farm. By playing a game such as this, children are taught about how pieces represent other things, how the activities of daily life and time management affects working people, and how the whole game system works together to create this tense and exciting experience. Game pieces and game mechanics are used to represent objects and actions, and playing a game develops children’s understanding of symbolism and simulation as they discover how all of these systems work together to represent a bigger picture. Playing games with kids allows you to spend time bonding over shared experiences and encourages meaningful interaction amongst participants. In comparison to passive experiences such as TV viewing, the quality and quantity of interactions with children is dramatically higher while engaged in an enjoyable activity such as gaming. 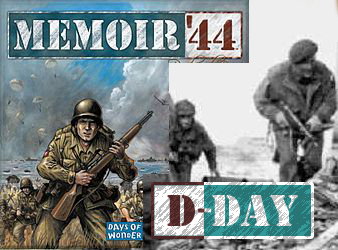 Games provide many opportunities for conversation, laughter, camaraderie, and fond memories of time spent together. Playing games with your kids allows you an opportunity to “make deposits” in their positive attention “bank”, a core concept of positive behavior support parenting methods. By providing your child with fun and memorable experiences and reinforcing their learning and growth opportunities through gaming, you are also setting yourself up to reap the rewards of providing positive attention before needing to make a “withdrawl” (behavior correction or redirection). Kids want and need to interact with their parents, and playing games together can be an enjoyable activity that both fosters your child’s intellectual and social development as well as strengthen the bonds between you. Sharing games with your children makes for enjoyable time spent together now, provides a variety of skill building and cognitive development opportunities for your children, and can create a lifelong connection you can always come back to. Family game nights are a fun tradition that can last a lifetime, and the memories of time spent together laughing, talking, learning, and growing through gaming are invaluable. Did I miss anything? 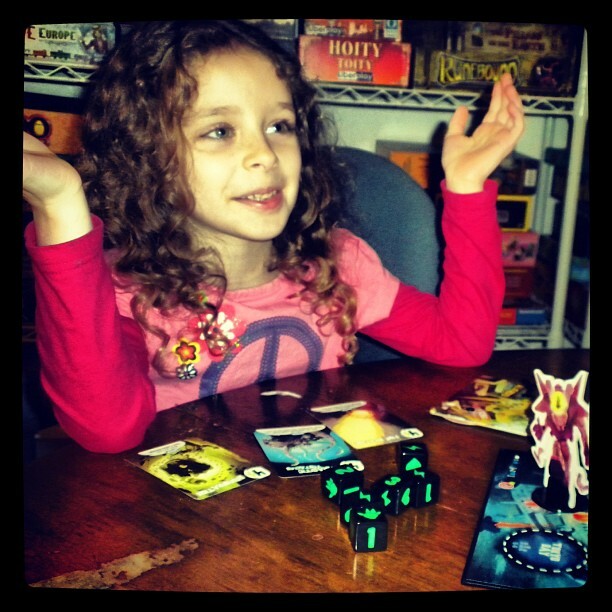 Have you noticed any specific benefits of playing games with your kids that you would like to share? Please jump into the comments below, we love to hear stories from our readers and are always looking to expand our ideas and knowledge base. I was watching Nerdcore Rising the other night (documentary about a nerdy DJ called Frontalot) and one scene has a time lapse video of a dude teaching someone Magic the Gathering and stumbling through about 2 hours in the attempt. It was sad to watch but I’ve seen others struggle with the same problem. Now I know Magic has about a million and half rules, but explaining it really does not have to be such a daunting task. It doesn’t require a detailed flow chart matrix and a weekend seminar. You can teach your friend, your mom, or your kid to play magic in 15-20 minutes by using the right kind of decks and ignoring a whole host of rules they won’t really need until much much later. Frustrated? Confused? I'm here to help. I love this card and I'm still unsure about how it works! ﻿﻿﻿﻿﻿﻿﻿﻿﻿DO build mono-colored decks with only basic land. Need a mana, tap a land. Any land. DON’T include non-land mana sources or lands that do special effects. Keep the equation symbol. Mana comes from tapping lands and this is the only thing lands do. Period. DO include these five types of cards: lands, creatures, enchantments, sorceries, and instants. New players need to get familiar with the different card types. DON’T include artifacts or planeswalkers. Artifacts come in a variety of types and basically mimic other card types like lands, creatures, or enchantments. Players will easily get artifacts once they understand the other cards. Don’t bog them down for now. Plansewalkers should also be avoided as they are extremely rare and work like no other card. DO include lots of creatures. Make it a creature heavy deck. If new players only get one solid thing out of their first few games it should be the basics of how combat works. DON’T include creatures with tap effects. Again, keep it simple. Creatures tap to attack. That’s it. DO build a deck with a strong theme and cards that work together. New players should see how cards can build on other cards as part of the fun of Magic. Tribal decks can be a good choice. DON’T build a deck with complex cards, upkeep, or alternate win conditions. To start, Magic is about summoning creatures and fighting it out. A few spells for variety and creature boosting is fine, but don’t make them deal with fancy graveyard effects, deck milling, or anything that requires an upkeep. Focus on solid, straight forward effects. Shove aside your vast Magic knowledge and focus on the basics. ﻿DO tell them the story of magic, but make it quick and simple. You are both wizards summoning creatures and casting spells to try and defeat your opponent. Tell them the theme of the deck they are about to play to help them be excited about the type of wizard they are. DON’T explain their entire deck before they start. They don’t need to know every card or special ability. Tell them about haste or deathtouch when a creature hits the battlefield that has it. DO explain the cards in this order: Lands (you play one a turn and they are how you cast any spells). Creatures (you summon them, they stick around and your main way of attacking your opponent). Enchantments (these are permanent effects that modify the game or specific creatures). Sorceries and Instants (These are effects that happen right now and go away. They are essentially the same card types except instants you can play out of turn, in response to things, and during combat). ﻿﻿DON’T explain the stack or resolving multiple card effects until it comes up in the course of play. DO explain the following basics of combat. Creatures tap to attack. 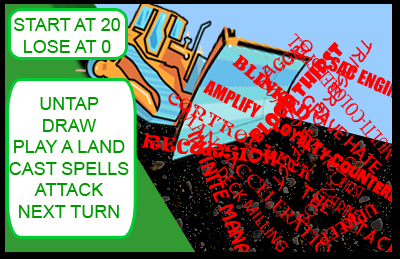 The defending player may assign untapped creatures to block. If unblocked, attacking creatures deal their power in damage to the defender. If blocked, an attacking creature fights the creature that blocked it. They each hit each other at the same time with their power. Any creature that takes a hit equal to or greater than its toughness dies and goes to the graveyard. DON’T explain blocking one attacker with multiple creatures. For the first game or two, just let it be that one creature blocks one attacker. DO play with hands revealed for the first few games or at least the first several turns. New players will have lots of questions about their cards and this will just speed up the explanations. Likewise, they can see what you are considering and you can explain your choices and why you made them. Please let me know if you find these tips helpful or not and share any tips of your own in the comments! Hi all! My name is Julian and I'm pleased to be jumping in and joining the GuG writing crew. 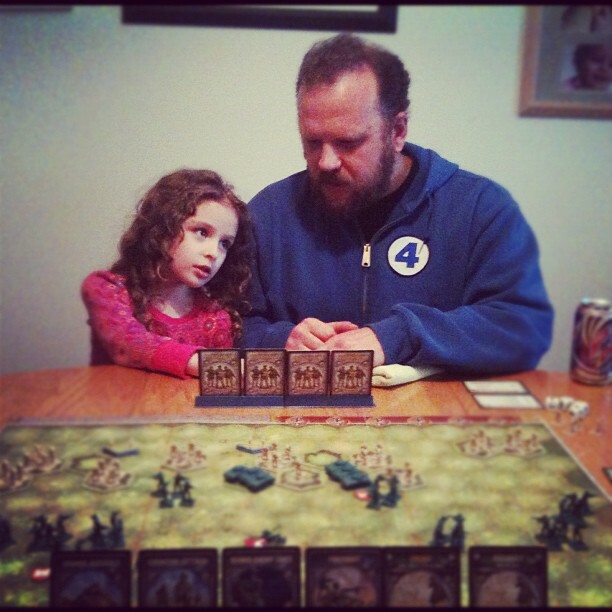 I am a dad who is in to board games, card games, rpgs and video games. I've been friends with Randy and Angie for over a decade and I am honored to contribute to this blog. I look forward to providing some fun/helpful content and getting to know all of you faithful readers of this fine blog. 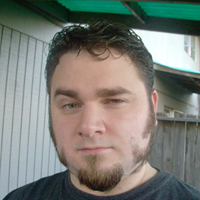 This is me when I shaved my beard all crazy awhile back. Often Wishing: My 9 month old boy would go back to sleep! Often Working On: School, leveling up my house, and a super cool family friendly RPG with my GuG buddies. 1. We're adding another regular contributor! Yay! Our friend Julian is a father of two little gamers-to-be, a game designer, reveiwer, and blogger, and an all around cool guy who is going to start providing weekly articles to the site. We're doing this to add in another perspective, help us get content going out more often, and because we love reading what he has to say and think you will too! Look for his debut soon! 2. We've finally decided to commit to a more regualr schedule of blogging. With some life issues sorted out and arranged, we're ready to jump back into producing regular content about gaming, raising gamer kids, the positive social and educational value of games, and other fun ideas/how-to's/cute pictures/gaming stories/whatever else sounds fun. You can expect to see something from each of us adults (Randy, Angie, and Julian) once a week, plus bonus posts from the kiddos whenever the mood strikes them! 3. We're updating the look of the site. Please hang in there with us as we make the transition from a basic blogger template to a much cooler looking (and reader friendly) layout, with better visuals and pictures and all that high tech stuff. Hopefully our weird layout and awkward framing days will be behind us!